February 19th 2019. 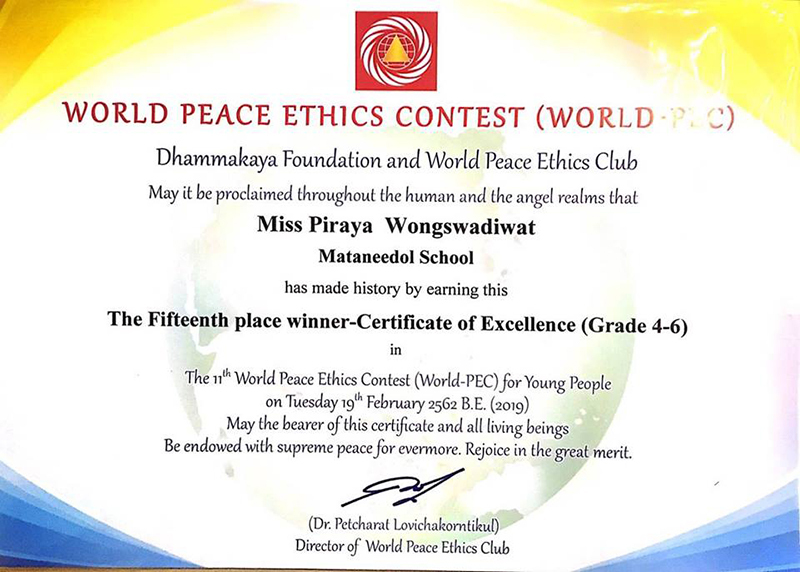 Recently several of our students took part in the World Peace Ethics Contest. 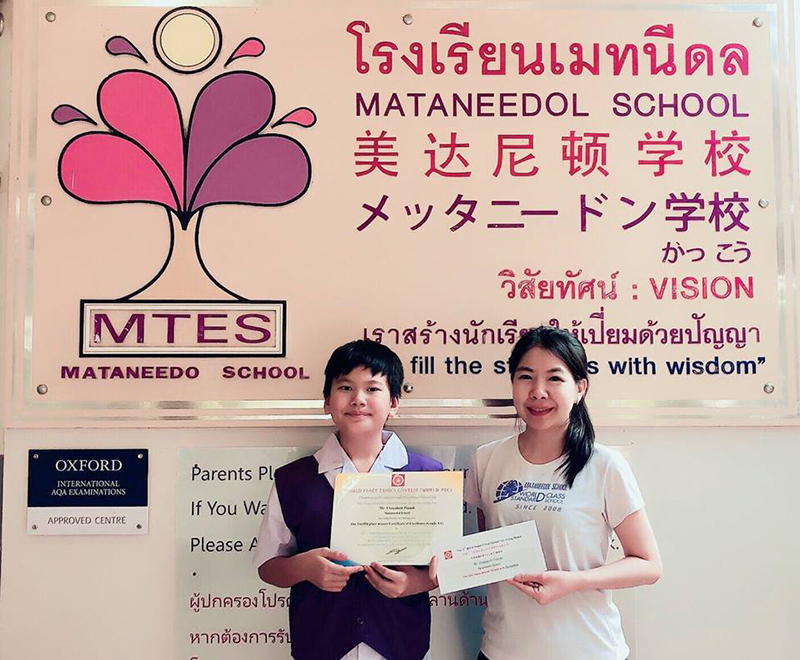 After one month of studying we are very pleased to announce that two of our students did very well and were awarded certificates to mark their success. 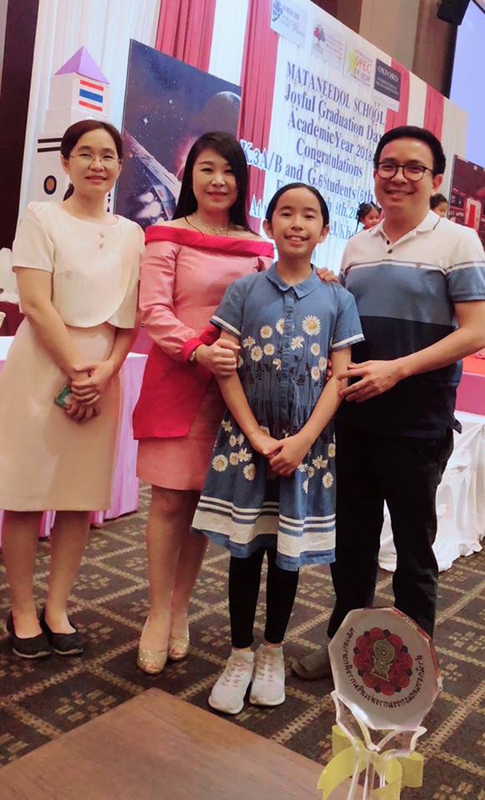 Our congratulations go out to Mak from Grade 6 and Focus from Grade 5. 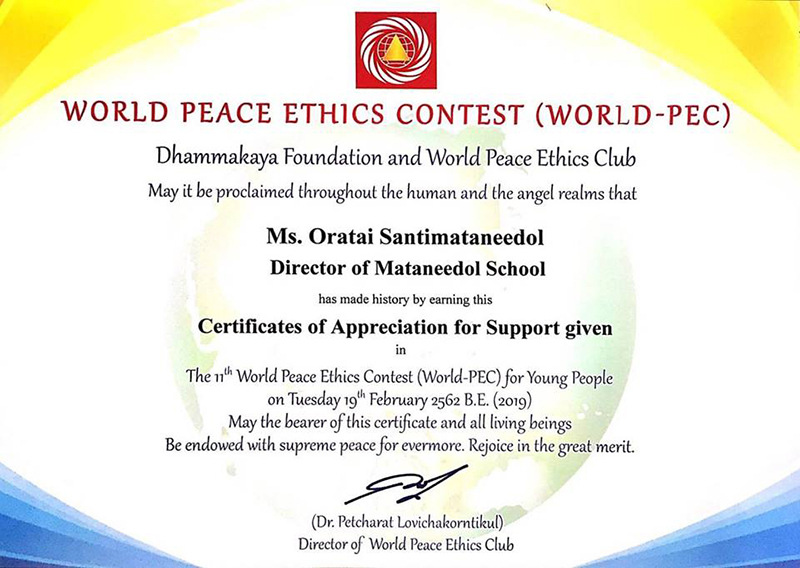 Well done to the both of you.Congratulations also go to our principal, Dr.Oratai Santimataneedol was also awarded with a certificate of appreciation for support given to the peace ethics club over the years. 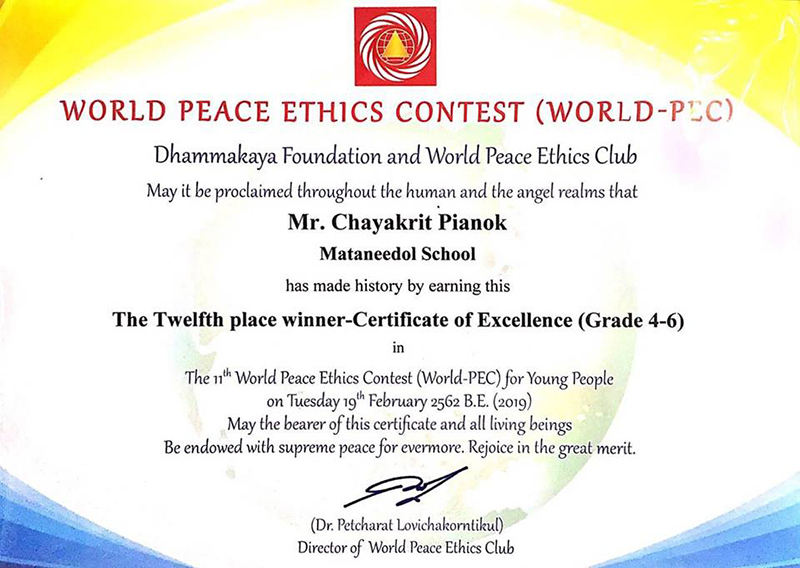 Well done to you all.